Diet Ultima is a weight loss supplement marketed by Super Ketone Nutraceauticals Limitied and sold exclusively via the Diet Ultima website. The site looks quite impressive, but many things about both the site and the product suggest Diet Ultima is probably best avoided. The first thing site visitors see is a warning that stocks are running low. There is an order form nice and handy though, at the top of the page, along with the very tempting offer of a free product trial. This looks very familiar. We’ve seen it all before. 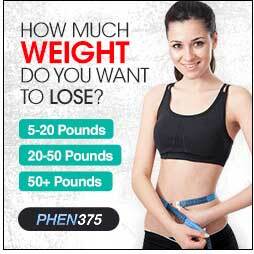 In fact the site seems to be built using the same template used to market a number of other dietary products. 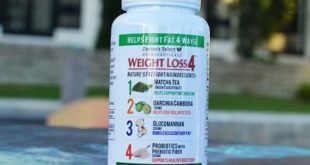 Like Diet Ultima, most of them contain raspberry ketone, and in many cases the popularity of the ingredient is being used to trick victims into falling for an auto-billing scam. 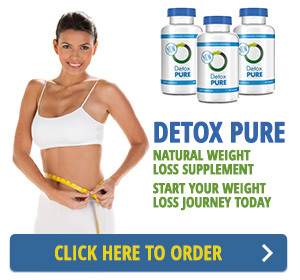 Positives: Said to contain raspberry ketone and garcinia cambogia. 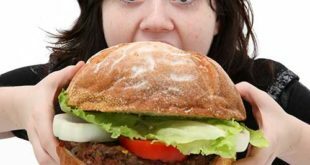 What is Diet Ultima and how does it Work? 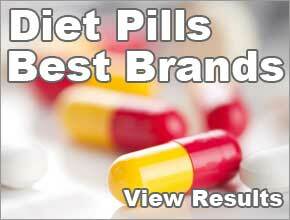 According to the manufacturers, Diet Ultima can help the user lose weight without the need for diet or exercise. This is supposedly achieved by the formulation’s ability to work as a combined appetite suppressant, carb blocker, and fat burner. Buyer Beware: The Free Trial Auto-Billing Scam -This is a pretty simple online scam that lures in a lot of victims. Site visitors are offered a free bottle of pills, but are required to pay the postage costs, which are typically very reasonable. In order to pay for the postage they need to provide their credit or debit card details. Unfortunately, a few weeks later they discover large debits have been applied to their cards (typically £80 to £90) and realize they have opted into a recurring billing cycle. The capsules contain six active ingredients, several of which are very good, but at least one of them has been linked to dangerous side effects, and the fact that no inclusion rates are provided makes it impossible to say how much potential the blend has as a weight loss provider or how risky its use may be. Raspberry Ketone: A fruit extract, usually sourced from raspberries, and often credited with incredible fat burning powers. Study backs this up but only the correct quantity. Garcinia Cambogia: Another fruit-based ingredient. Garcinia cambogia can assist weight loss by providing appetite suppression and preventing excess carbohydrate from being converted into fat. White Kidney Bean: A carb blocker. White kidney beans contain an element that interferes with the digestive enzymes responsible for breaking down carbohydrates. 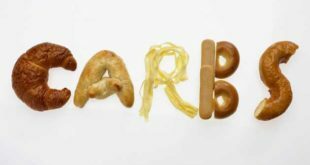 This causes carbs to pass through the body undigested, taking all their calories with them. This makes white kidney bean a potentially good ingredient, but it also makes garcinia cambogia somewhat surplus to requirements because, if the carbohydrates are not digested in the first place, there will be no excess carbs for garcinia cambogia to block. Green Coffee Beans: A potent source of chlorogenic acid. Tests show chlorogenic acid can provide powerful fat burning benefits, but at least 800mg per day is required. Guarana: A caffeine-providing ingredient that can boost energy levels and make the user feel more alert, but side effects may include headaches, nausea, and the jitters. Citrus Aurantium: The manufacturers of Diet Ultima are quick to point out citrus aurantium’s abilities as a metabolism booster and fat burner, but keep very tight lipped about the potential side effects that have been linked to its use. Heart attacks and seizures would hardly be a strong selling point though, so their silence about this is understandable. The Diet Ultima website fails to provide any usage instructions, but each bottle contains 60 capsules, and is deemed a 30 day supply, so the dosage must be two capsules per day. The Diet Ultima website contains three customer testimonials. Not surprisingly they are all positive, and one user claims to have lost 65lbs., but reviews from such a biased source are not to be relied upon and independent feedback is unavailable. The manufacturers of Diet Ultima fail to mention the possibility of side effects, but the presence of citrus aurantium makes this a dubious dieting choice that is probably best avoided and should certainly never be used by anyone who has not discussed the matter with their doctor. 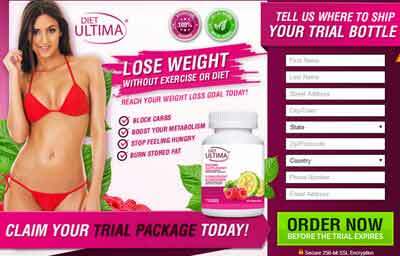 Diet Ultima can only be purchased from the Diet Ultima website. With shipping each bottle will cost the user over £90, but most customers will fail to realize the true cost of the product until they notice a charge has been levied against their cards. Diet Ultima is an unproven product that might fail to provide any benefits at all, but the blend contains a few good ingredients so some level of weight loss may be possible (inclusion rates permitting). The blend also contains a potentially dangerous ingredient though, so we cannot recommend its use. However, even if it were the best formulation we had ever seen, we still could not endorse it because the product’s biggest potential appears to be as tool to hook fresh victims into and auto-billing scam—avoid like the plague! 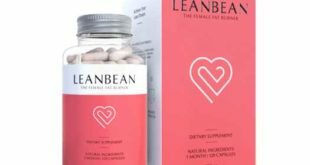 Although the formula is said to contain raspberry ketone it is not specified what the authenticity is – unlike Raspberry Ketone Plus from Evolution Slimming. 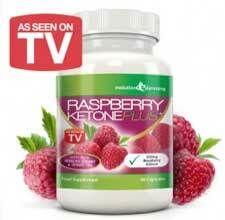 Evolution Slimming Raspberry Ketone is EU approved and is one of the original raspberry ketone capsules. Hi, I responded to the ‘free trial’ advert in July last year and received the product shortly afterwards. I did not realise that I was tied into any ongoing billing arrangement. In April this year I was off work and did not go out at all but noticed that I was in the region of £100 down on my account. I checked my statement and found that Diet Cleanse had taken £84.00 from my account, worse still they had been doing this since October 2014. Although I did miss money I put it down to miscalculations and overspending. I informed my bank who advised me the hat they would refund me up to 120 days the rest I would have to contact the companies concerned. As I had not received any products I had no ideas this was going on and would not have paid over the odds for products I can get locally for far less! Not only that but the tablets made me feel sick. Diet Ultima never sent me an email or dispatch email which is common practise with other online companies. They cannot get access to the flats easily and I would have had to sign for receipt of the product as per the first trial consignment. They are now trying to say that they delivered the order (I did Not order further ) and are disputing my bank having refunded me money. My bank are saying I may have repay these charlatans which will cause me to be massively overdrawn. I can only wait and see the outcome of my letter of response to them. Nat West were very good at immediately blocking my account from further assaults from Diet Ultima and advising me of the way these companies operate.